Poll: Choose what series I watch next! Again!! The winning series will be reviewed here once I’m done; I may also get around to some of the others afterwards, but there’s no guarantee, so be sure to vote and make sure your favourite comes out on top! It feels a lot longer ago than 5 months since I watched Mahou no Stage Fancy Lala… great series. Poll: Choose what series I watch next! My pile of unwatched anime is huge, I am spoiled for choice. Usually, I create shortlists based on the length/genre of series I’m interested in, then roll a die to pick between those on the list. This time, however, I turn to my blog readers to make that decision for me. 😀 And whichever series wins will get reviewed here. 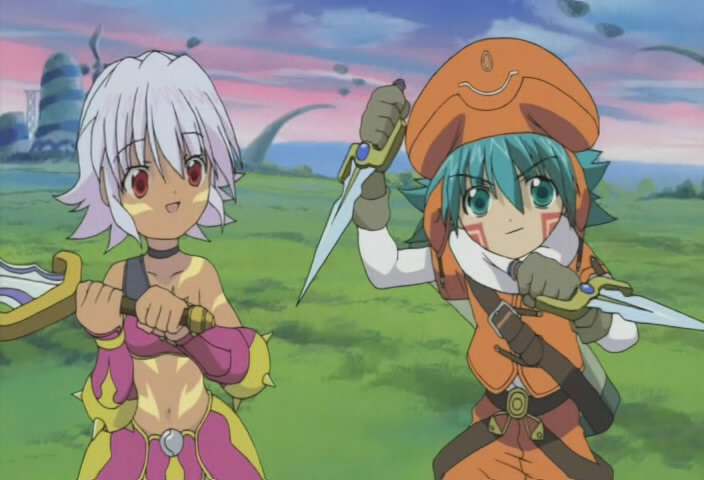 I also ended up watching and reviewing runner-up Kanon! Poll Closed – Thanks for Voting! 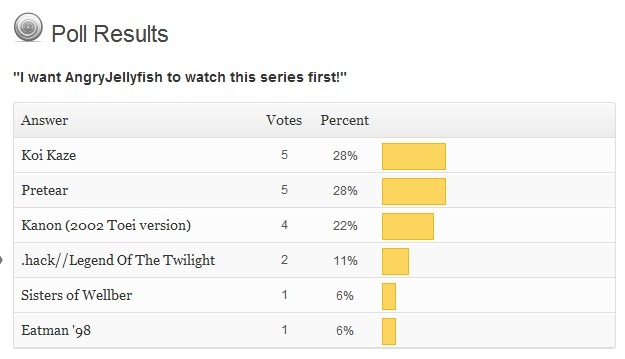 The poll to decide which series I’d end up watching next has now closed… with no clear winner. At the end of the first day of voting, all six were tied for first with one vote, which was a little worrying! That didn’t last long though, as two series started to pull away from the rest of the group. They were neck-in-neck for virtually the whole fortnight, and were still tied at the end. They are Pretear and Koi Kaze.